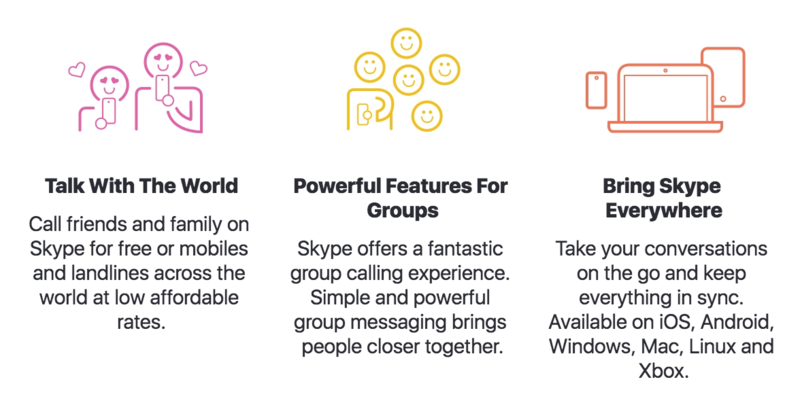 igrishaev: And the last thing regarding Skype (I swear). I haven't seen such ugly icons for years. They congratulate me every time I open the program. The second one is non better. Again, the guy's left arm looks really weird. The body line underneath it is also beyond any physiology. The guy looks like a coffee cup with cut heads flying around. Only the third one is made sensible because there are only tech devices on it. Yet they forgot to add screens to a tablet and a phone.